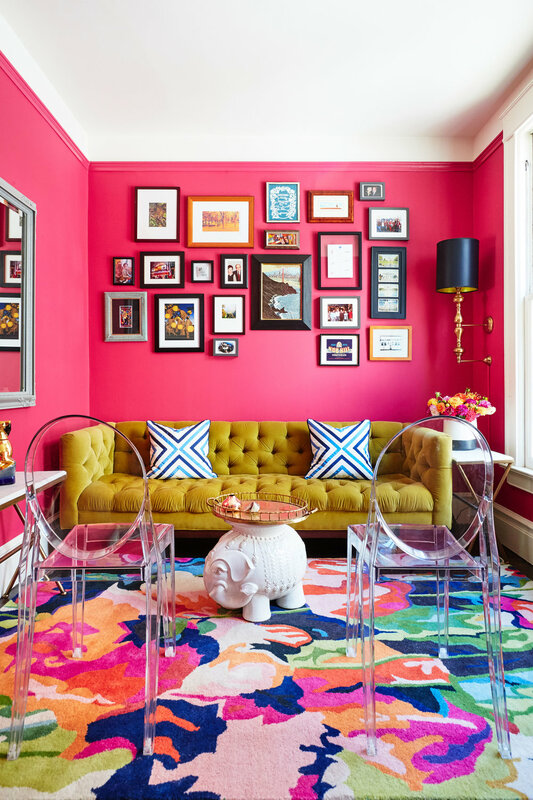 While these clients loved the architectural details of their Victorian flat, the small, dark kitchen and one small bathroom were bygone spaces of a home that needed updating to serve their lifestyle - especially with their first child on the way! 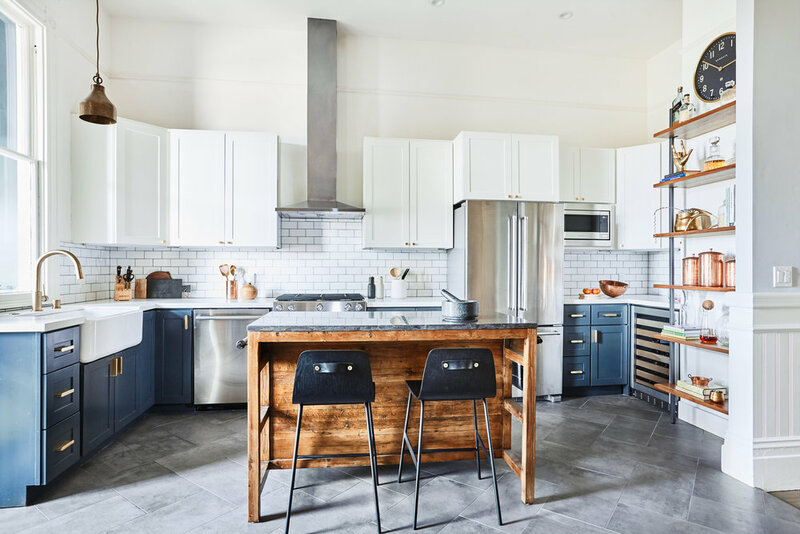 In this gut renovation, we removed a wall to open the kitchen to the (much sunnier) dining room, and replaced the flooring with slate tiles in herringbone pattern to connect these formerly-2 spaces, updated the kitchen's entire look, and increased its size by taking footprint from the existing bathroom. 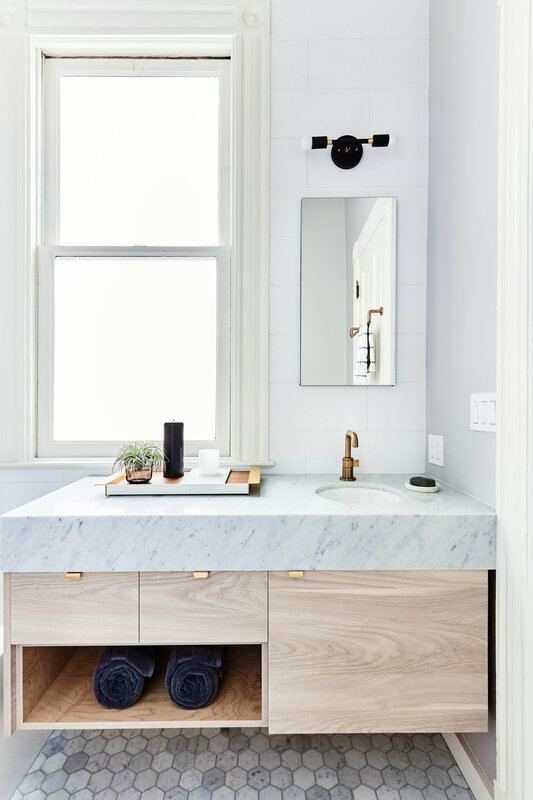 In the existing bathroom, we reconfigured the layout and upgraded all finishes, adding much-needed counter space via a fully custom-designed marble + maple vanity. And the wildest part of this renovation: we converted an unused small bedroom at the front of the flat into a gorgeous sun-soaked master bathroom + walk-in closet! 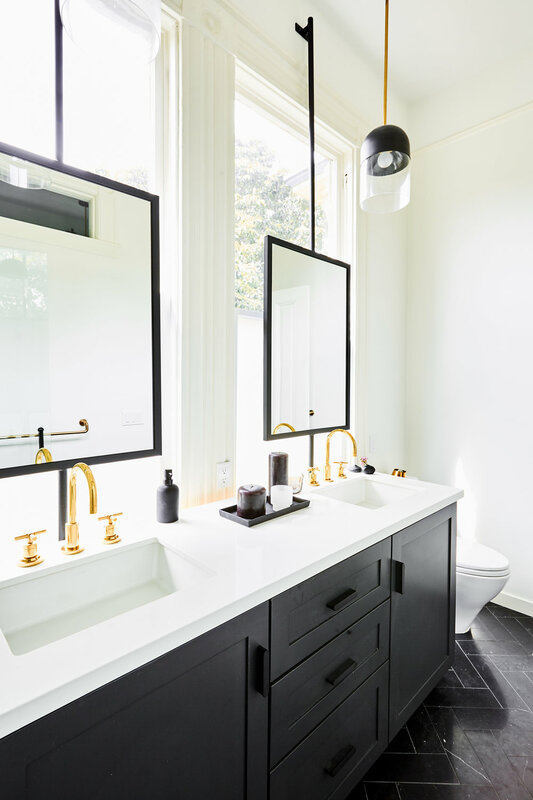 Custom floating mirrors and a custom vanity shield the view in from the large windows, and Calacatta-look porcelain tiles from Ann Sacks provide the look of luxe marble without the upkeep.